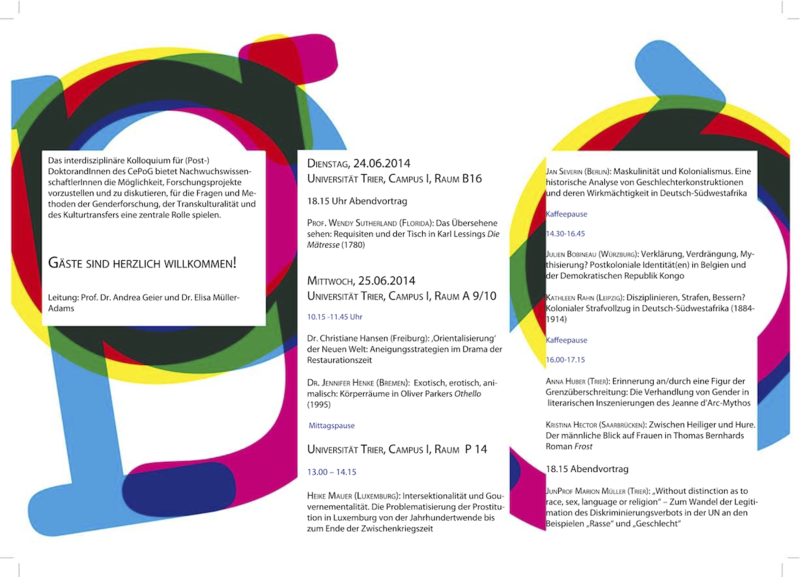 At the University of Trier, the IRTG Diversity works together with various other organizations and research groups. Among them is the Center for Posctolonial and Gender Studies (CePoG - see www.cepog.uni-trier.de). 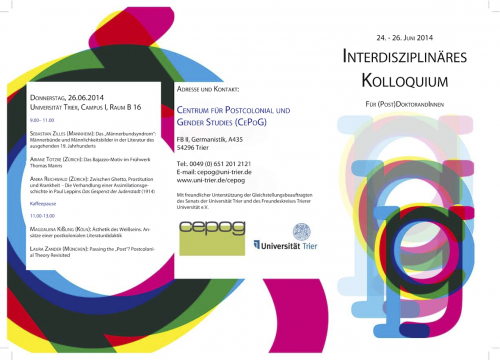 From June 24 to 26, 2014, the CePoG will host an interdisciplinary symposium for graduate students and post-docs in order to give young researchers the opportunity for exchanges about their research projects and about current trends in scholarly debates.